Ideal for acrylic or oil works, Soluvar varnishes are solvent based, durable and non-yellowing. 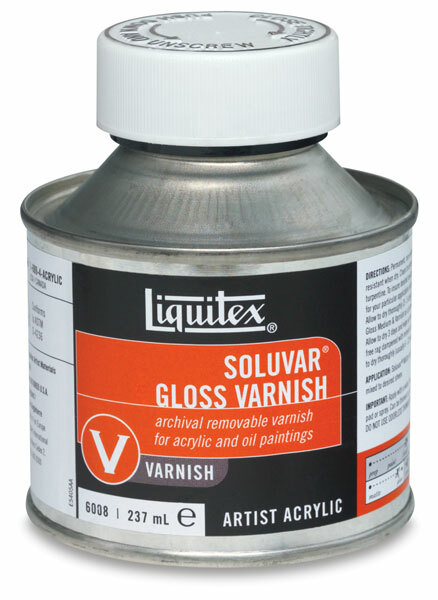 They reduce surface “tack”, pressure sensitivity and static electrical buildup, and can be mixed to achieve a range of matte or gloss effects. CL cautionary label.